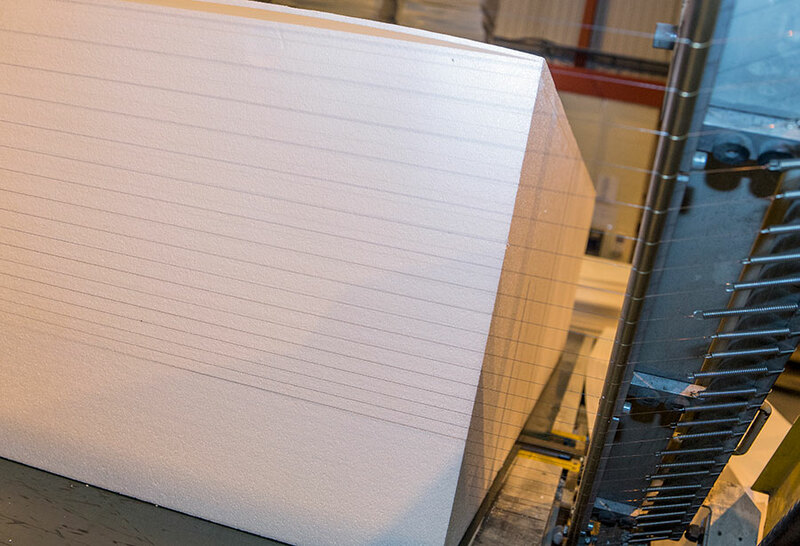 Smith & Blakely packaging was formed as a converter of expanded polystyrene [EPS], cutting various shapes for packaging to a wide selection of end users. S and B Became a Limited Company. The decision was taken to become a manufacturer of EPS. This enabled us to maintain our growth and offer our services to a wider customer base. S and B EPS Ltd was born. The process of installing the necessary equipment began in January and was completed in April – the first blocks were produced. Phase one of our expansion completes. We gained accreditation to become an ISO 9001 registered company whilst at the same time being able to issue a declaration of conformity to BSEN 13163, entitling us to CE mark our products. The second stage of our expansion is completed. We gained accreditation to supply a new high thermal performance expandable polystyrene to BSEN 13163 called Lambdatherm. We obtained certification to CE mark civil engineering products to BSEN 14933:2007 standard. S and B obtained ISO14001 and gained accreditation for warm beam. Acquired extra land adjacent to factory, now a 10 acre site. The need for ever more stringent quality testing allowing us to maintain the highest standards in the production process. This includes the quality assurance department of S and B Eps Ltd undertaking continuous testing that enables us to monitor the thermal performance, compressive and cross breaking properties of the polystyrene produced. Running alongside with ISO9001 , ISO14001 and applying the CE mark on our EPS products. These tests are carried out in a dedicated laboratory with all the machinery calibrated and tested by the relevant accreditation bodies. S and B EPS believes that service to its customers is one of the main fundamentals of ensuring a good working relationship with our stockists and customers. To ensure this S and B EPS operates a dedicated transport fleet of vehicles offering flexibility of load sizes from small local deliveries to 90m3 loads nationally. We pride ourselves on offering a next day delivery service for full trailer loads to any part of the UK mainland, either to your stock or direct to site, with a two day delivery for part loads. Can you deliver on rigid vehicles with tail lift offload? We have access to rigid vehicles that can carry up to 40 cu-m of material with pallet truck offload. How much material can be loaded onto a articulated vehicle? We can transport between 80 and 90 cu-m per load. Can you supply vehicles to deliver to central London? We have a range of Rigid and articulated vehicles from Fors Bronze to Silver to deliver into central London. Where do you deliver in the UK? What if I only need 1 pallet? We use such services as pallet network and Pallex to send out single pallets nationwide.